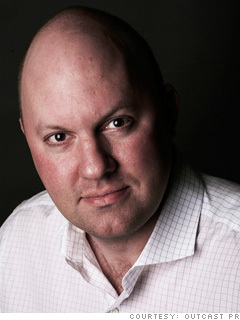 Marc Andreessen is co-founder of the venture capital firm Andreessen Horowitz. Marc has a very smart article out last week on what works and doesn't work to grow centers of innovation in new locations. He titled this piece aptly Turn Detroit into Drone Valley as you can see here [emphasis mine]. …Imagine a Bitcoin Valley, for instance, where some country fully legalizes cryptocurrencies for all financial functions. Or a Drone Valley, where a particular region removes all legal barriers to flying unmanned aerial vehicles locally. A Driverless Car Valley in a city that allows experimentation with different autonomous car designs, redesigned roadways and safety laws. A Stem Cell Valley. And so on. There’s a key difference from the if-you-build-it-they-will-come argument of yore. Here, the focus is more on driving regulatory competition between city, state and national governments. There are many new categories of innovation out there and entrepreneurs eager to go after opportunities within each of them. Rethinking the regulatory barriers in specific industries would better draw the startups, researchers and divisions of big companies that want to innovate in the vanguard of a particular domain—while also exploring and addressing many of the difficult regulatory issues along the way. Why this approach? Compared with previous innovation-cluster efforts where governments contrived to do something unnatural, this proposal flows from what governments naturally do best: create, or rather, relax laws. This is one of those ideas that seems completely obvious once you have seen it. We can quibble with that last phrase “what governments naturally do best: create, or rather, relax laws.” because governments are terrible at relaxing laws. But the possibility was demonstrated in America by airline and telecom deregulation. I see this sort of regulatory competition as a variation on Paul Romer's theme of Charter Cities. I've not succeeded to think of a way to apply Romer's concept directly to an advanced economy which is being drowned by a mountain of obsolete law and regulation. There are far too many powerful forces who like the status quo just fine. But perhaps Marc's ideas could be implemented at sufficiently small scale that the regulatory reform could be implemented before the status quo interests squashed the innovation. There is much more to this Andreeseen essay, so be sure to read the original at Politico. For background on why this will be so hard to implement in the US see Steven Teles on Kludgeocracy. Homework assignment: how can we structure such a proposal so that politicians would be motivated to take on the change? From subsistence farming to prosperity? For several years I’ve been writing about the development challenge — what policies are the most effective to help Paul Collier’s “Bottom Billion” escape from poverty to our world of prosperity? There are a number of central ideas which I think of in an interdependent relationship: (Industrial agriculture, urbanization, cities) => (Ideas, innovation, economic growth) => (Women control their own fertility, women’s education, population growth stabilizes). This virtuous pyramid rests on a foundation of affordable, low-carbon energy. The purpose of this post is to offer recommendations for print, audio and video resources on these topics. A good place to begin is with iconic ecologist Stewart Brand: Environmental Heresies at MIT Technology Review “The founder of The Whole Earth Catalog believes the environmental movement will soon reverse its position on four core issues.” Rethinking Green (video, SALT lecture). And his 2010 book Whole Earth Discipline. For a current and informed view of development challenges and progress, see the 2014 Gates Letter “3 Myths That Block Progress For The Poor”. Are you concerned that population growth is out of control? Then read the recent essay by Stanford professor Martin Lewis “Population Bomb? So Wrong”. Marian Swain at the Breakthrough Institute looks at the current situation for population growth rates, carbon free energy, food supplies and development in Four Surprising Facts About Population: Why Humans Are Not Fated to Ecological Disaster. I’m reasonably confident that you will have fewer population nightmares after watching Hans Rosling in the BBC documentary “DON’T PANIC — The Facts About Population“. My current favorite introduction to both climate change and energy policy is Stanford University nuclear physicist and Nobel laureate Burton Richter’s 2010 book: Beyond Smoke and Mirrors: Climate Change and Energy in the 21st Century. It is very accessible to the non-technical reader, and balanced in the presentation of energy policy options. Dr. Richter calls energy-policy winners and losers as he sees them. For an overview of agricultural reform try Pamela Ronald and Raoul Adamchak’s “Organically Grown and Genetically Engineered: The Food of the Future” [video of their SALT talk], [the book at Amazon]. On agriculture and urbanization, try Why big dams and big ag are good for the poor (transcript of interview with Harvard’s John Briscoe). For an introduction to Romer’s growth theory I recommend Paul’s chapter “Economic Growth” inThe Concise Encyclopedia of Economics, and the Econtalk interview “Romer on Growth” (if you prefer to read, see the full transcript). Paul Romer’s current project is Charter Cities, a pragmatic scheme to overcome the development bottleneck of bad rules (for examples of bad rule systems think of Haiti, Zimbabwe, North Korea). I am persuaded that the Charter Cities concept has a chance to evolve into an effective development tool, and continue to find every Romer presentation fascinating. There are two TED Talks so far: Paul Romer’s radical idea: Charter cities (2009) and Paul Romer: The world’s first charter city? (2011 regarding Honduras). For a 2011 look at cities as idea- and hence prosperity-generators, Harvard’s Ed Glaeser is getting a lot of favorable comment on his 2011 book Triumph of the City: How Our Greatest Invention Makes Us Richer, Smarter, Greener, Healthier, and Happier. Glaeser is the subject of an excellent Freakonomics Radio podcast [MP3], and the London School of Economics lecture of the same title. See also the LSE review of Triumph of the City. More on cities, ideas and growth: why do cities seem to be able to keep growing while most corporations die? Geoffrey West and colleagues at the Santa Fe Institute have been searching for a common theory which might answer that question. Geoffrey recently gave a thoughtful lecture at the Long Now Foundation (SALT). Lastly, on the same theme, Steven Johnson’s 2010 book Where Good Ideas Come From: The Natural History of Innovation is summarized in his TED Talk: Where good ideas come from, and in his recent RSA Animate lecture of the same title. Enjoy! Tyler Cowen: Forget Europe. Worry About India. … these economically segregated islands of higher productivity suggest that success is achieved by separating oneself from the broader Indian economy, not by integrating with it. Agriculture employs about half of India’s work force, for example, yet the agricultural revolution that flourished in the 1970s has slowed. Crop yields remain stubbornly low, transport and water infrastructure is poor, and the legal system is hostile to foreign investment in basic agriculture and to modern agribusiness. Note that the earlier general growth bursts of Japan, South Korea and Taiwan were all preceded by significant gains in agricultural productivity. For all of India’s economic progress, it is hard to find comparable stirrings in Indian agriculture today. It is estimated that half of all Indian children under the age of 5 suffer from malnutrition. This is fundamentally the outcome of a dysfunctional political scheme. One possible way out is to launch one, hopefully several, of Paul Romer’s Charter Cities. The hungry, hard-working labor is certainly nearby and eager to migrate into such cities for better jobs. Is there suitable coastal land, appropriate for new links to global trade? WHILE Europe's austerity-minded governments and inflation-averse central bank must take much of the credit for the euro area's current economic problems, the crisis has been fanned by failures of regulatory reform and integration that have made adjustment much harder than it needs to be. Those failures also operated prior to the crisis, contributing to growth in imbalances, and without much more in the way of structural reform they will continue to be an economic albatross when the crisis is finally put to rest. Differences in metropolitan populations may help explain gaps in productivity and incomes. Western Europe’s per-person GDP is 72% of America’s, on a purchasing-power-parity basis. A recent study by the McKinsey Global Institute, the consultancy’s research arm, reckons that some three-quarters of this gap can be chalked up to Europe’s relatively diminutive cities. 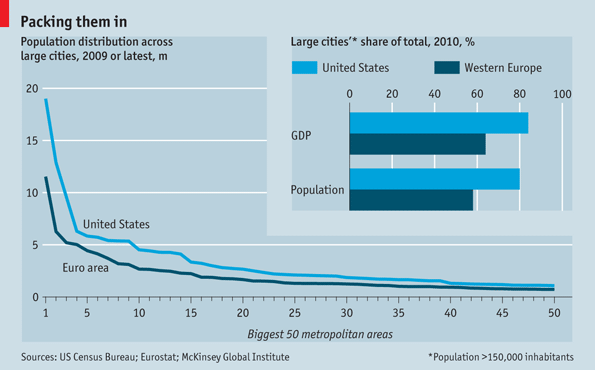 More Americans than Europeans live in big cities: there is a particular divergence in the size each region’s “middleweight” cities, those that teem just a little less than the likes of New York and Paris (see chart). And the premium earned by Americans in large cities relative to those in the countryside is larger than that earned by urban Europeans. In highly skilled societies, bigger cities are associated with higher levels of productivity and income, the column explains. This seems to be due to the ways in which cities facilitate innovation in an age of rapidly increasing economic and technological complexity. Prosperity now requires lots of skilled individuals in reasonably close proximity to each other, to learn from and occasionally partner with as part of the process of coming up with and spreading new ideas. America appears to be better able than Europe to accomplish this across a wide range of places. Regulatory barriers to growth may be to blame. Tight zoning rules limit housing supply and raise prices by driving a wedge between construction costs and market prices. This “regulatory tax” amounts to over 300% in the office markets in Frankfurt, Paris and Milan, according to a 2008 study by Paul Cheshire and Christian Hilber of the London School of Economics, but is just 50% in Manhattan and, in effect, zero in fast-growing places like Houston. Taxes that add to transaction costs also help explain low European mobility. Qn: Prof. Romer, are you still working with the government of Honduras on the creation of a RED – a Region Especial de Dessarrollo? Or on what some have called a model city? Ans: I and the other people who were named to the Transparency Commission wrote a public letter to President Lobo stating that we have no ongoing role in the project. Personally, I have also resigned from the CORED advisory committee. Qn: In the beginning, you were an active supporter of the RED project. What changed? Ans: From recent newspaper reports, I learned that the Honduran agency responsible for public-private partnerships had signed an agreement about a RED with a private company. When I asked for information, I was told that I could not see this agreement. This was a departure from the standards of transparency that the administration had led me to expect. It was also a departure from the role for the Transparency Commission outlined in the Constitutional Statute passed by the Honduran Congress. Qn: How can it be that a member of the Transparency Commission could not see such an agreement? Under the process set out in the Constitutional Statute, doesn’t the Transparency Commission have to give an opinion about any proposed RED? Ans: In December 2011, President Lobo signed a decree naming me and four other internationally respected individuals to the Transparency Commission. At the time, these appointments were reported in the international news media, in particular by the The Economist. However, the government never completed the process of publishing this decree in the Gazette. The administration’s current position is that because the decree was never published, the Transparency Commission does not exist in the eyes of the law and the five named members have no legal basis for reviewing any agreements. Qn: Can the government create a RED if the Transparency Commission does not yet exist? Ans: If the Transparency Commission does not yet exist, the administration can propose a RED directly to the Congress. The RED will then come into existence if the Congress passes an act describing its geographical boundaries. Passing an act that specifies boundaries may seem like a minor detail, but under the Constitutional Statute, it has important legal consequences. Qn: Does the administration have to disclose the terms of any agreement that it signs with a company that will invest in or manage a RED? Does the company have to disclose the identities of its financial backers? Does the company have to disclose anything about its experience or qualifications? Ans: The law states that the Transparency Commission must be given all the information needed to evaluate any proposed RED. If there is no Transparency Commission, the Congress is the only remaining protection. To make sure that it is comfortable with the identities of the investors and the governance structure that the investors have negotiated in their agreements, the Congress could insist on full disclosure before it votes a RED into existence. The Congress might also want to insist that it have a separate right to approve any agreement related to a proposed or existing RED that could place a financial burden on the Honduran government. This kind of burden could arise, for example, through an agreement that lets a private party bring a claim for damages against the government. Qn: Do you know how the misunderstanding about the legal status of the Transparency Commission came about? Ans: Various explanations have been offered, but I cannot be certain why the decree naming the members of the commission was never published in the Gazette. Nor can I be certain why the administration did not disclose its decision not to publish the decree. Whatever the reasons for these decisions, the result was an important failure of transparency. The public perception, that the Transparency Commission was in operation, differed from the reality. This gave the wrong impression about the checks and balances that would be operating as the first RED came into existence. From the very beginning, I made a commitment to the citizens of Honduras, to the members of the Honduran Congress, and to the many people around the world who wish Honduras well. I committed that I would work for their benefit and do so transparently. This means that at a time such as this I have to be willing to state to the public what I know to be true. Last night we watched the remarkable interview of Paul Romer on Zurich Minds. The interview was conducted by founder/chairman of Zurich Minds, Rolf Dobelli. Rolf was thoroughly prepared and is one of the best interviewers we’ve observed. Rolf asks very short questions in an appropriate explanatory sequence, then he doesn’t interrupt while he allows the interviewee to answer completely. Just splendid. 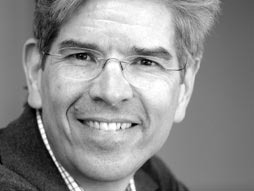 Paul Romer also did a more recent December 2011 Zurich Minds formal presentation on Charter Cities – in the style of a TED Talk. And FYI, Paul has at least three TED Talks on record, including the most recent Paul Romer: The world’s first charter city? which offers some particulars on Honduras. In Africaâ€™s Eastern Promise, a recent article in Foreign Affairs, Deborah Brautigam writes of the two-part development strategy that China pursues with a select number of partner countries in Africa. The strategy consists of loans backed by natural resources and special economic zonesâ€”ideas that come directly from Chinaâ€™s development experience at home. China Eximbank issues market-rate loans that finance infrastructure projects such as roads, railways, hydropower, schools, water systems, and hospitals in Africa. Borrowers repay the loans with natural resourcesâ€”oil in countries like Angola, Nigeria, and the Republic of the Congo, cocoa beans in Ghana, and copper in the Democratic Republic of the Congo. More often than not, Chinese firms receive the infrastructure contracts, but the agreements typically contain provisions that specify a competitive bid process and a degree of subcontracting to local firms. Though the prospect of China partnering with authoritarian regimes in Africa may seem disconcerting at first, Brautigam calls on Westerners to be open-minded about Chinaâ€™s initiatives in Africa. Indeed, rich Western countries might do well to follow Chinaâ€™s lead. Where traditional aid programs have failed, forging partnerships with African leaders and establishing special zones could be a more effective way for the West to promote development and respect for human rights. Brautigamâ€™s latest book, The Dragonâ€™s Gift: The Real Story of China in Africa, treats the development relationship between China and Africa in greater detail.